Gilje uses a microscope to examine and capture the textures of the various materials found. The captured textures are added to a continuously changing video loop, new images replace old ones. Organic, mineral, synthetic, processed, dead or alive material come together in a flicker bonanza. Bennett’s sound comes from manipulating found materials - metal, paper, plant material, stones, and other objects to reveal their textures and resonances. The sounds are very quiet and so have to be amplified with different kinds of microphones: miniature mics, contact mics, ultrasonic detectors etc. 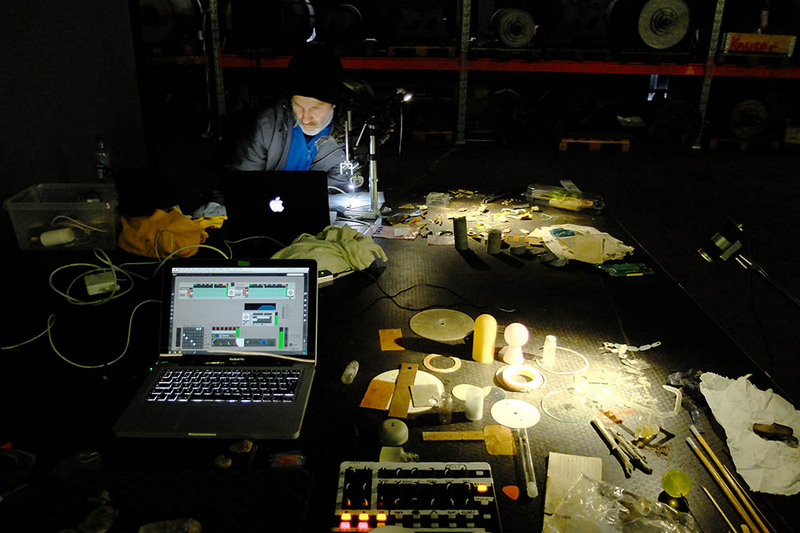 The sounds are processed with live electronics. The form of the performance comes from the interaction between the players, the material, and the performance space.